Cowen & Co. analyst Josh Jennings reiterated a Buy rating on Cytosorbents Corp (NASDAQ: CTSO) today and set a price target of $15. 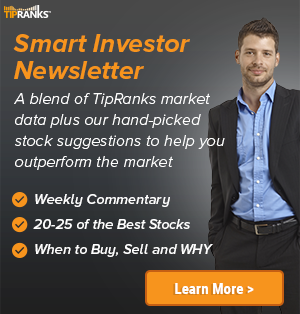 The company’s shares closed yesterday at $12.90, close to its 52-week high of $13. 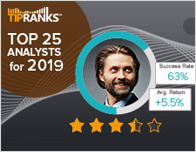 According to TipRanks.com, Jennings is a 3-star analyst with an average return of 3.0% and a 57.6% success rate. 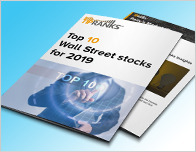 Jennings covers the Healthcare sector, focusing on stocks such as Boston Scientific Corp, K2M Group Holdings, and Abbott Labs. Cytosorbents Corp has an analyst consensus of Strong Buy, with a price target consensus of $14, representing an 8.5% upside. In a report released today, H.C. Wainwright also reiterated a Buy rating on the stock with a $15 price target. Based on Cytosorbents Corp’s latest earnings release for the quarter ending March 31, the company reported a quarterly GAAP net loss of $2.98 million. In comparison, last year the company had a GAAP net loss of $1.12 million. 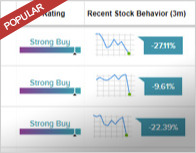 Based on the recent corporate insider activity of 29 insiders, corporate insider sentiment is positive on the stock. This means that over the past quarter there has been an increase of insiders buying their shares of CTSO in relation to earlier this year. Most recently, in June 2018, Phillip Chan, the President & CEO of CTSO bought 8,000 shares for a total of $30,000. CytoSorbents Corp. engages in the development of blood purification technology for the reduction of deadly uncontrolled inflammation in hospitalized patients. Its product, CytoSorb, is a extracorporeal cytokine filter and seeks to reduce cytokine storm that could otherwise cause massive inflammation, organ failure, and death in common critical illnesses such as sepsis, burn injury, trauma, lung injury, and pancreatitis. The company was founded by Joseph Rubin on April 25, 2002 and is headquartered in Monmouth Junction, NJ.